Ready to link up your latest and greatest projects and recipes? We can't wait to see them! Check out what we've been working on and then share your work with us in the link up below. Don't forget to come back next week to see if you've been featured! - No Etsy stores, giveaways, or link parties. - Please link to a specific post on your blog, not your blog's home page. 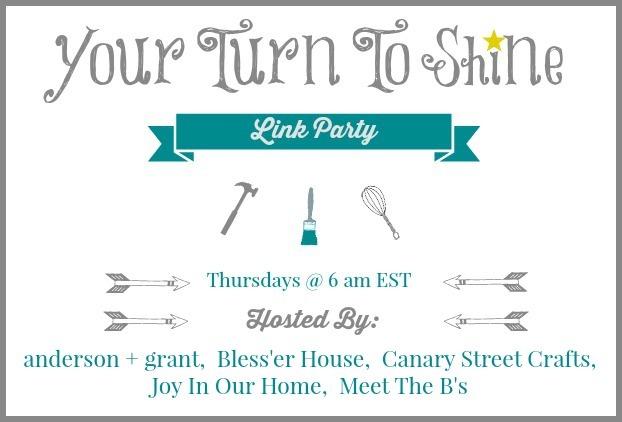 - Link back to one of our blogs with a text link or party button. - By submitting a link, you're giving us permission to feature your project on our blogs and on social media. Proper credit and a link back to your post will always be given. Each week, a few of our favorites will be featured on all four of our blogs. Features will also be pinned to our Pinterest Party Board for even more exposure! 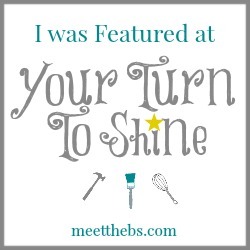 If you were featured, be sure to grab a button! 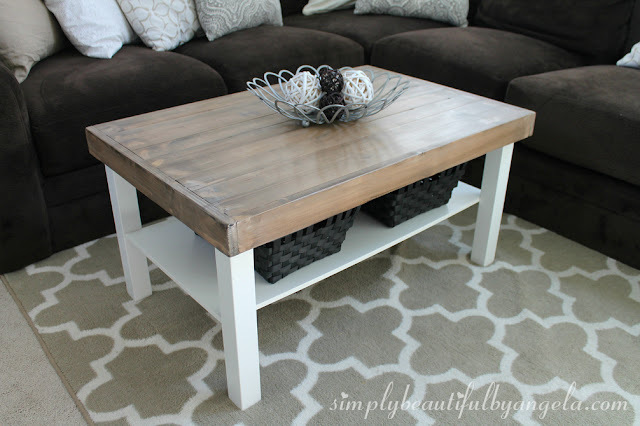 I have an old Ikea Lack table that I've been dying to do something with, so this beautiful hack by Simply Beautiful by Angela caught my eye immediately! Follow our Pinterest board to see all of our features! Follow Kendra's board Your Turn To Shine on Pinterest. Now, it's time to link up! Show us what you've been working on! It's always fun to join your party. Thank you for hosting! Dropping off my star shaped bath bombs with your party this week. Thank you for hosting!